NEWINGTON - Rotarians will begin this summer with a brand new spot to host picnics and other gatherings. The Newington Rotary Pavilion in Churchill Park will be available for rent by all local residents, in fact - not just the civic club that provided $12,000 to erect it this spring. 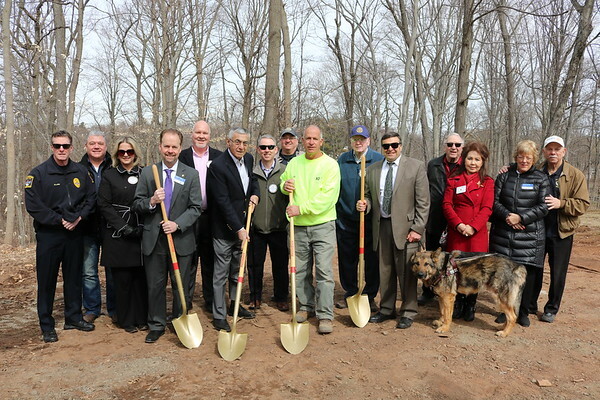 Rotarians joined town officials at a recent groundbreaking ceremony celebrating the new addition, which is being built by Parks and Recreation employees. Construction isn’t completed, but at least twenty families have already booked parties in the new spot this summer. In the last year alone the club provided $1,500 in backpacks and school supplies to local schoolchildren, raised thousands of dollars for the Newington Food Bank, awarded scholarships to graduating seniors and helped start up a new self-defense and empowerment program for Newington Police. Members’ annual golf tournament provided over $27,000 for childhood cancer research and treatment through the Alex’s Lemonade Stand Foundation. 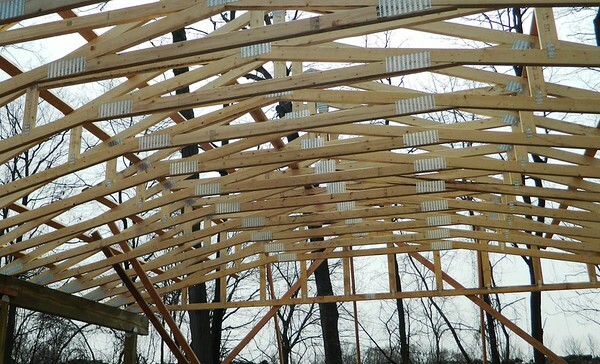 The 28- by 44-foot structure will feature electrical hookups, lighting and a water outlet. A picnic table inside was made handicapped accessible, with an open end to accommodate wheelchairs. At least 140 households rent the park’s existing pavilions annually. Reservations usually sell out every weekend from May through October. The new pavilion is located in the park’s highest point, above the tennis courts. These will soon be converted for pickleball, another court sport quickly growing in popularity. The department’s summer youth program Camp Recreate will use the pavilion on weekdays this summer. Weekend rentals by families and community groups begin the third week of May and cost $100 per day. An official dedication party is set for Aug. 4 from 12 to 4 p.m. inside the pavilion. This occasion will feature food, refreshments and family activities. Rotarians have committed to providing additional site enhancements over time by enlisting help from other local organizations that want to be involved in the effort. “Our plan is to purchase benches and ornamental shrubs with the funds generated,” Tedeschi explained. Plaques designating donors’ contributions will be installed on site. Erica Drzewiecki can be reached at 860-801-5097 or eschmitt@centralctcommunications.com. Posted in Newington Town Crier, Newington News on Tuesday, 3 April 2018 18:34. Updated: Tuesday, 3 April 2018 18:36.